Ride leisurely downhill for 26 miles with jaw-dropping views of Maui. 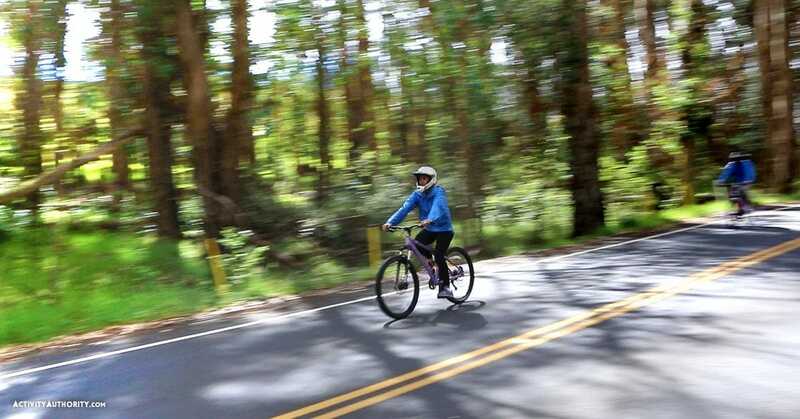 These self-guided Haleakala Bike tours allows you the freedom to stop at anytime for photos on the side of the road and grab a coffee or a bite to eat at a deli, restaurant or snack stop. 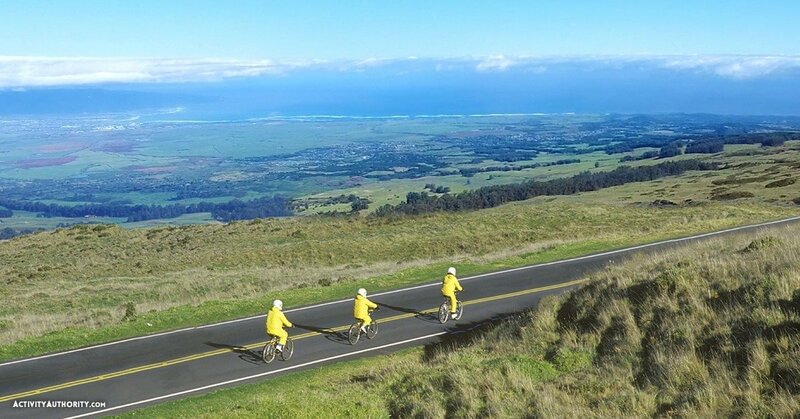 This is the best price for an expertly narrated van ride up and then experiencing the thrill of this world-famous Maui bike ride down. You adventure begins at 381 Baldwin Ave. in Paia where snacks, coffee and bottled water are provided. You’ll then have a chance to ask questions and learn about Haleakala and the rest of Maui from a local guide in a comfortable van drive up the mountain. Your guide will share dining options along the way as well as the best stops for photos. 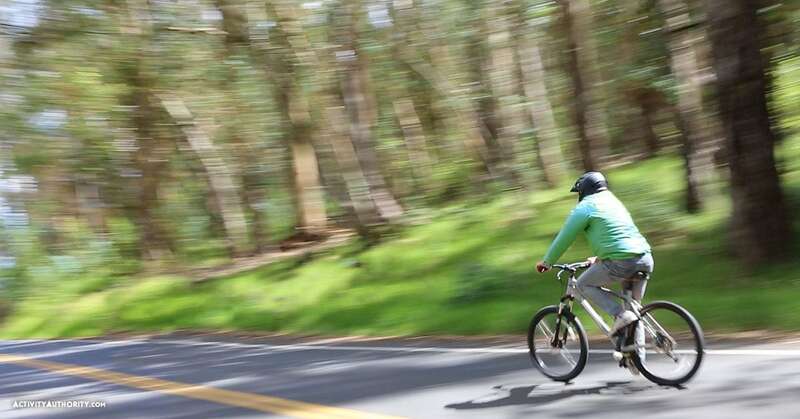 Once you arrive at 6,500 fee, you’ll be given all the equipment/gear needed for a comfortable Maui bike ride down the slopes of Haleakala back to where you started. I have always held a special place in my heart for Maui. My parents would save up their money every couple of years and take my brother and I over as kids and teenagers. My first trip to Maui was when I was 1 yrs old. It is my favorite place on earth and if you know me then you know that bit of info about me- I am a Maui lover. At one point I had my room as a teenager decorated with Maui/tropical island things. Last year, my boyfriend who I have known since grade school surprised me with a trip to Maui for a week, I had just finished my Masters and I was so excited to show him Maui because he had never been to Hawaii. On the third day we were there I noticed he was acting a little weird but I didn’t say anything. We went on the bike ride and through upcountry Maui through Kula. We were self-guided so he stopped at a historic Catholic church called Holy Ghost Catholic Church. I was surprised because he is not Catholic ( I was raised Catholic) but then I thought…hmmm, he does love history, so I didn’t think it too weird that he chose this stop. There we stood inside this great old church just him and I, a church my parents and I had always visited on Maui as a little girl. He got down on one knee in the middle of the vacant church while the Maui air blew sweetly in and pulled out a ring that he had custom made and said, ” Will you marry me Ann?”- I was so surprised and of course said “yes!”. The rest of the trip was so amazing as we went on many hikes, snorkeling and had a lovely dinner on a dinner cruise. he fell head over heels for Maui while we were there and I think realized how I could love it so much. Sooooo…..6 months later we knew we wanted to come back and get married in the small old sweet church in Kula. We debated about doing it at home with a lot of people but Maui called to us. We returned to the the Holy Ghost Church in Kula in an intimate ceremony with close family and our 2 best friends. It was a beautiful Maui day. I had a starfish intertwined in my hair and looked at the beautiful ocean view from the church one last time before I walked down the isle to my husband. After the ceremony we went on a dinner cruise and danced the night away under the killer Maui stars.